Online privacy is an Internet buzzword nowadays. If you are also concerned about the privacy of your web surfing, the most efficient way is to use TOR – a free software that lets users communicate anonymously by hiding their actual location from snoopers. The Tor network—used by activists, journalists, law enforcement, and yes, criminals—is famous for cloaking web surfers’ identities and locations. But, apparently, there's a risk to all that protective anonymity. 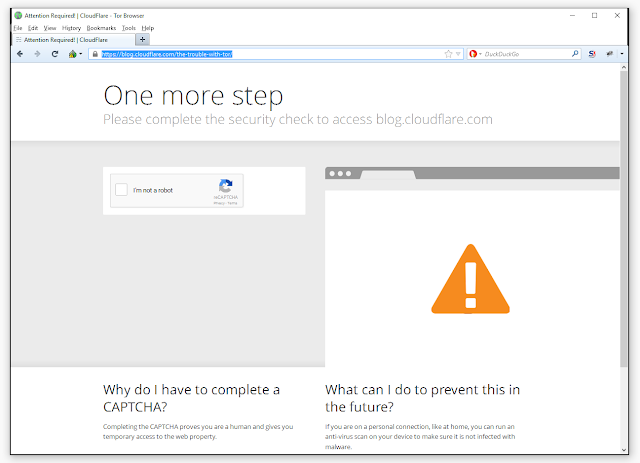 Cloudflare's insistence on solving reCAPTCHA puzzles when visitors are coming from Tor exit nodes to one of the 2 million web sites that Cloudflare 'protects' can be very instrumental for traffic analysis and de-anonymizing of Tor users. The only non-public prerequisite for the de-anonymizing entity is the ability to monitor traffic between ISPs and Tor entry nodes, and traffic entering Cloudflare servers (no decryption required in either case). There are, of course, no 2 million Cloudflare servers, probably there is no more than few hundred. Each click on one of the images in the puzzle generates a total of about 50 packets between Tor user's computer and the Cloudflare's server (about half are requests and half are real-time responses from the server.) All this happens in less than a second, so eventual jitter introduced in onion mixing is immaterial. 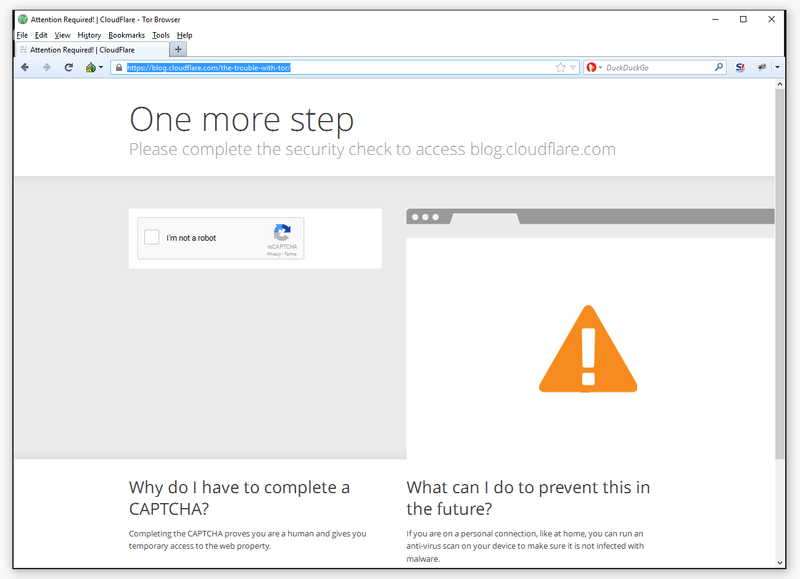 The packet group has predictable sizes and patterns, so all the adversary has to do is note the easily detectable signature of the "image click" event, and correlate it with the same on the Cloudflare side. Again, no decryption required. This obvious opportunity is not the proof, but NSA would have to be utterly incompetent not to be exploiting it. No one is that incompetent.